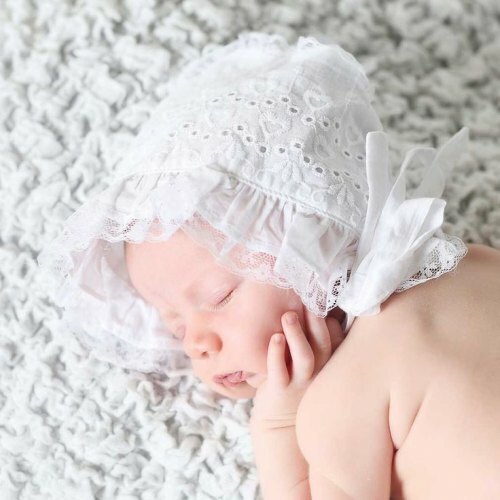 Exquisitely constructed, our classic white eyelet bonnet for girls is trimmed with a pretty ruffled brim. A white satin ribbon on the back of the crown adds a feminine touch. Ties closed to keep bonnet in place. 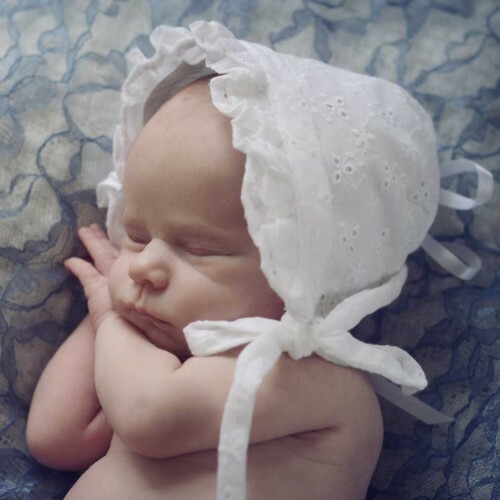 Huggalugs vintage inspired bonnets are just perfect for baby. They turn ordinary outfits into extraordinary. Perfect for baby shower gifts, portraits, parties, christening, naming day, or just because they're so darn cute! Wear every day to protect your little one from sun and wind.